When it comes to modern digital recruiting, recruitment technology has changed the way that we think about managing recruitment processes. With the growth of online job boards, advertising display networks, niche job sites, and social media, there are more places than ever for job seekers – both active and passive – to be introduced to your brand. But, with the ever-evolving network of places for your brand to be seen, comes the additional challenges of managing all of those open requisitions, both organic and paid, and the views, clicks, and applies they generate. So, how do you stay on top of it all? What is a Recruitment Advertising Management System? A Recruitment Advertising Management System (RAMS) is a platform that allows employers ease of access in managing their entire recruiting funnel. It provides insight into their digital job advertising, from the jobs that are being sponsored, to their budget restrictions, and enables them to clearly report on performance. 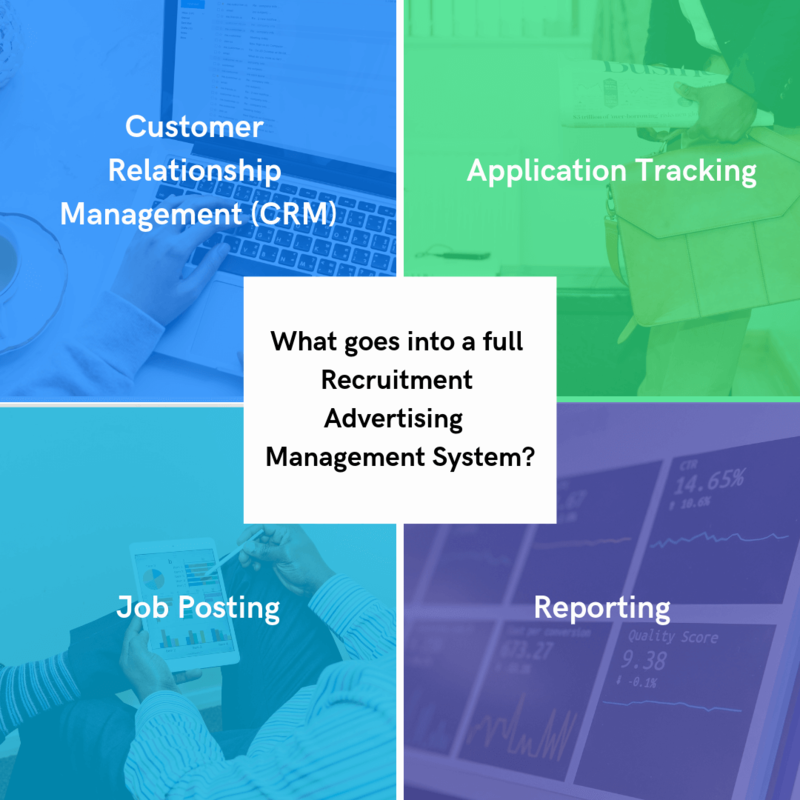 There are four main parts of a full Recruitment Advertising Management System: Customer Relationship Management (CRM), application tracking, job posting, and reporting. In this blog post, we’ll be focusing on job posting, and the benefit of using technology to automate, optimize, and measure your advertising strategy. Before the advent of the internet, job posting was fairly limited. Employers would place their open jobs in the Classifieds of their local papers, and then simply sit and wait for applicants to come knocking. The power was largely in the hands of the employer. Nowadays, the power is in the hands of the job seekers. The unemployment rate in the US is starkly low, and employers are feeling the effects of talent scarcity. With the internet, job seekers are more informed than ever about your industry, your brand and reputation, and your culture and benefits. It’s no longer just about the job – it’s about who you are, what values you hold – but also, the marketing you put behind those jobs. An effective Recruitment Advertising Management System will help you execute on your job posting strategy, but it’s up to you and your recruiting team to figure out the details, like the metrics for success you’ll be measuring your recruiting advertising against, and how to to optimize those metrics. One of the best ways to execute your job posting strategy is using a cost-per-applicant (CPA) consumption model. CPA is a form of pay-for-performance advertising where advertisers (in this case, recruiters like you, posting your jobs online!) pay for every completed application they receive. CPA is a unique form of performance media that actively ensures you only pay for results aligned with reaching your hiring objectives (i.e., making a quality hire). Many Recruitment Advertising Management Systems allow recruiters to distribute their ads across the web with CPA sources. But before you can get started with a CPA model, first thing’s first: you need to determine your target CPA. If you aren’t already advertising with on a CPA model, there’s an easy way to calculate what your target should be. All you have to do is divide your total ad spend by the number of applicants received for each of your jobs. Seems relatively straightforward, right? For some, this can sound like a daunting task if your organization has hundreds of open roles actively being sponsored, but it’s worthwhile. Coming up with a target CPA is imperative for a few reasons. 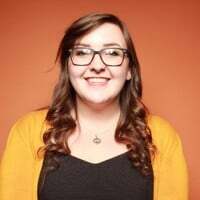 First, it gives you an easily measurable, testable, and reportable metric that you can consistently measure across all of your job advertising sources. With CPA as an even playing field, you can start to implement changes to your job advertising strategy that will impact your overall performance across all your sources. Second, and most importantly, it ensures that you aren’t overspending on applicants. When you have a target, it’s much easier to limit the budget you spend on each advertising source, as well as on a job-by-job basis. Of course, CPA’s will vary by industry and by market. Make sure that you understand the markets that you’re advertising in; if there’s stiffer competition, it’s likely you’ll have to pay more to acquire candidates for certain jobs. Some RAMS’s or job advertising solutions offering counseling or advisement on Market CPA. With these tools, recruiters can choose to either set their own CPA based on their budget constraints, or use their software’s technology to bid appropriately based on job market data. Now that you know your target CPA, the next step is to craft an effective bidding strategy based on your target. Bidding, unlike figuring out your target CPA, isn’t as cut-and-dry. There are often numerous factors at play – from time of day of the sponsored ad being shown, to the unemployment rate in the state in which you’re hiring, to the length of the job title and job description – that will impact how many views, clicks, and applies each of your jobs receives. The best way to figure out the optimal bidding strategy for your CPA is simple: test it! Run as many CPA bid tests as possible to determine the impact that lowering, or raising, a bid has on your applicant volume and conversion rates. Often, when presented with a well-performing job ad, some recruiters begin lowering their bid as much as possible – until they start to see the volume of traffic fall off. While this strategy may be successful in some cases, it also can have the negative effect of no job seekers seeing your ad. For some publishers, if you bid too low, the amount of traffic will stay the same, but the quality of the traffic will drop radically. Thus, by bidding down, you can end up increasing your overall advertising costs, generating lower quality traffic, and getting higher abandonment rates. No thanks! As part of your bidding experiments, pay careful attention to the variability of conversions from your job sites, and dive deeper into the percentage of traffic you are receiving from each of your sources. With the strength of the job market today and competition for applicants, average CPAs are increasing. This makes it even more important to effectively manage job advertising sources and make the most of limited recruiting budgets. Pro-tip: Not all job sites perform equally for different types of jobs. Calculate how much it costs for each site you advertise on to generate an applicant, as well as how much it costs to generate a quality applicant. By doing this, you’ll quickly see where you are generating the best ROI on your job ads (and be able to discontinue advertising on low performing sites). Programmatic advertising first came to light in the business-to-consumer advertising industry. B2C brands and their advertising agencies realized that in order to get a higher return on investment of their ads, they needed to be more targeted in the placement of their ads around the internet. By adopting this approach, they would be able to set a list of profile criteria about their ideal customer, pick a handful of websites they wanted their ads to show up on, and let technology handle the rest. In the world of recruitment, the process is very much the same. Programmatic job advertising allows recruiters and talent acquisition teams to more accurately target their ideal candidates where they live, work, and play throughout the web. Step #1: Import job content from your ATS or career site into your programmatic job advertising tool of choice. Step #2: Set your total budget allocation, as well as what you’re willing to pay for each click or application (psst, if you skimmed the section above about figuring out your target CPA, this is where it’ll come in handy!). Step #3: Set “rules” based on your business objectives, such as demographics of the target applicant, the number of applies needed for a particular job or job group, and – most importantly – your budget. Step #4: Hit the “buy” button, and let the programmatic software take care of the rest. Gone are the days of sending job descriptions to the local newspaper classifieds, and gone are the days of spending thousands of dollars to sponsor job ads that don’t convert. By using programmatic technology to manage your recruitment advertising, you put yourself back in the driver’s seat. Rules-based automation takes the guesswork out of which jobs have already reached their target applicant number, and jobs need more love from your advertising budget, as well as providing insight into which advertising platforms are performing the best (or worst) for your company. It keeps you from overspending where you don’t need to, and ensures that you get the results you care about: completed applications. Programmatic advertising is helping employers, recruitment agencies, and staffing firms around the world optimize their recruitment strategies, and deliver quality candidates for all their open jobs. But programmatic isn’t just job posting. A core benefit of programmatic is that it’s an all-in-one approach to your recruitment marketing strategy. With data as its guiding light, programmatic ensures that your budget stays optimized, and that you can easily see and report on your recruitment advertising success. By taking all of your advertising sources into account, programmatic solutions ensure that you can easily manage sponsorship across various sources, like different job boards and social networks, to ensure that you’re capturing all of your data and can measure success evenly and accurately. That means you and your fellow recruiters can spend less time tweaking ads, buying postings, and pulling all the numbers, and get back to what matters most – building your candidate relationships. The purpose of a Recruitment Advertising Management System is to improve the efficiency of recruiters, which is exactly the value that programmatic provides. By integrating with your ATSs or your CRMs, programmatic solutions are the final piece necessary for having a full recruitment advertising suite. Looking to get started with a programmatic recruitment advertising strategy? Download our whitepaper, Programmatic Recruitment Advertising: The Better Way to Promote Job Ads Online, for an in-depth look at how you can use programmatic to strengthen your recruitment advertising.